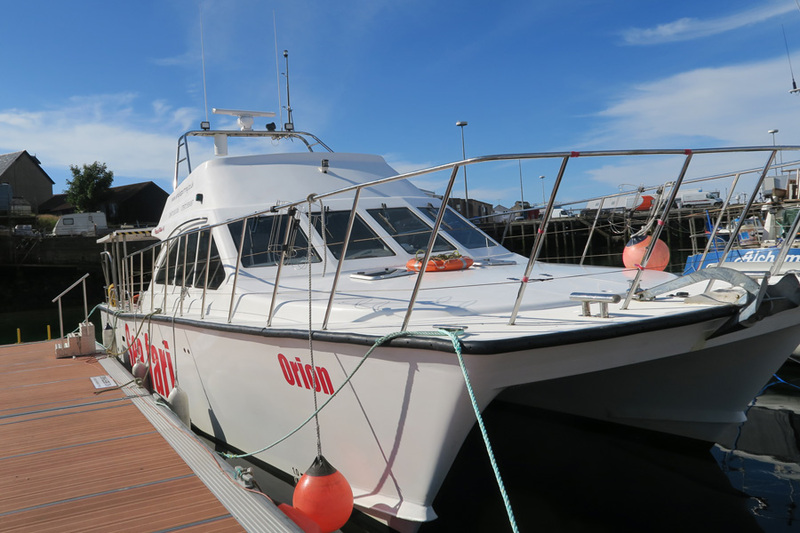 We took a trip aboard the MV Orion, a 36 seater catamaran in August 2015. 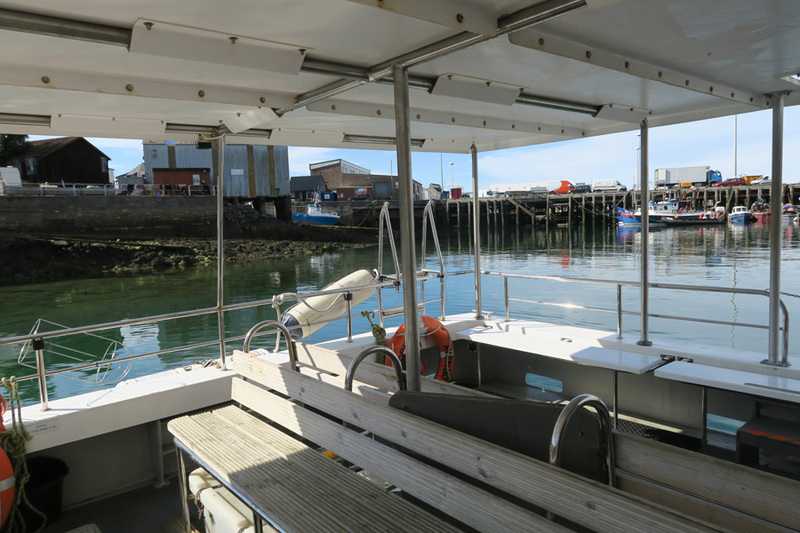 The boat has both covered outdoor seating at the rear and indoor seating in the wheelhouse. The outdoor seating consists of two central wooden benches as well as seating around the sides of the boat. There is a pump-out toilet on aboard. 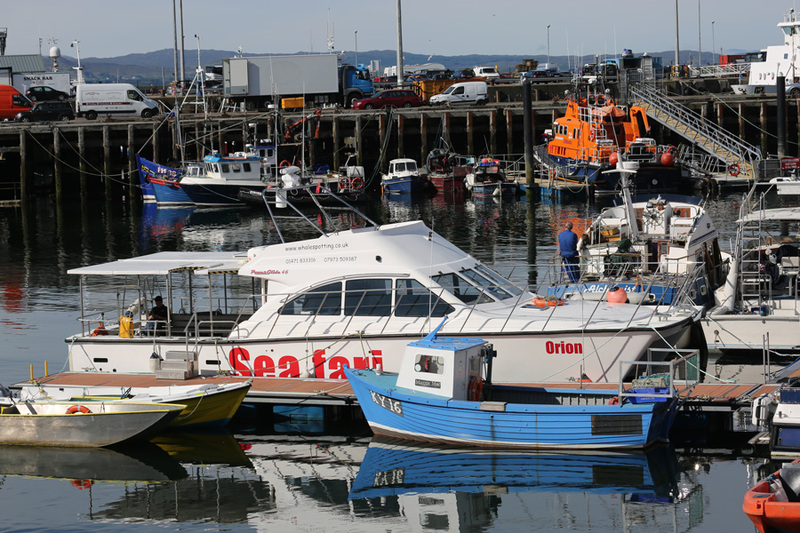 On our trip the boat departed from Mallaig Harbour at 2pm on Tuesday for a two hour trip, although trips vary in length and are subject to season and availability; please contact Seafari for details. It is a good idea to arrive 30 minutes before the departure time to secure a good seat. 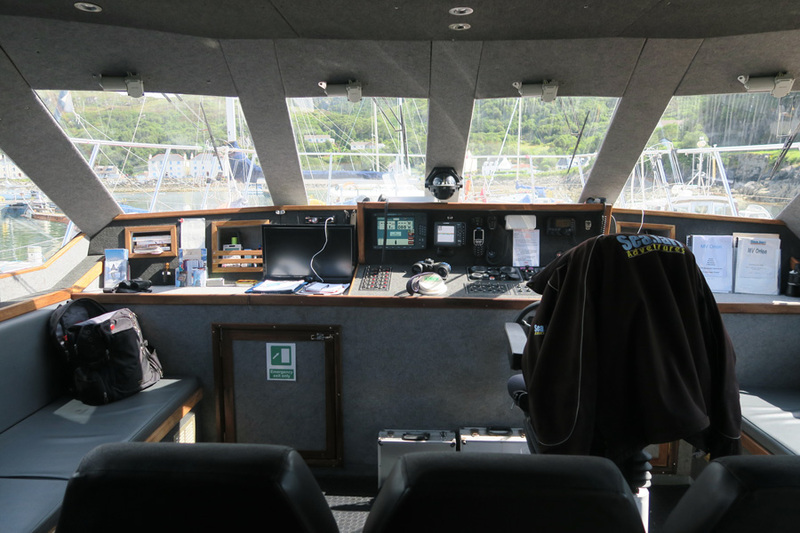 Once aboard, there is a warm welcome by the Skipper followed by a safety briefing. 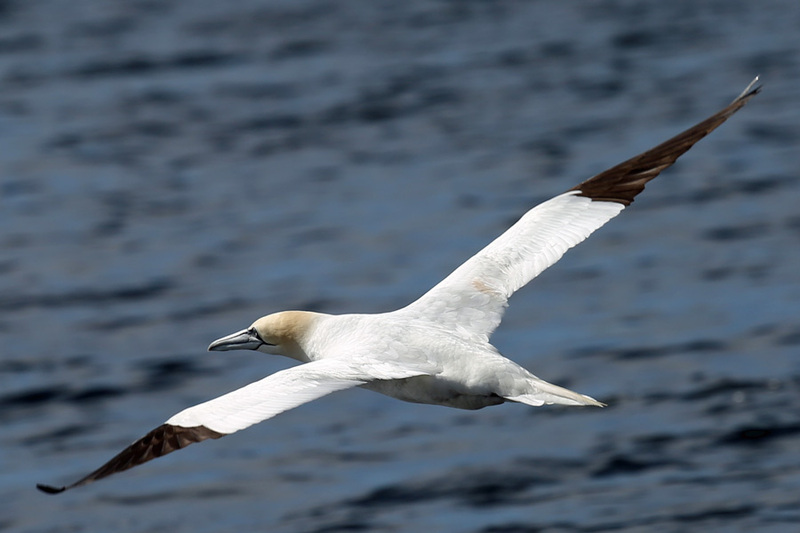 You are also given some advice on how to spot dolphins and whales by observing the activities of birds such as gannets and Manx shearwaters. 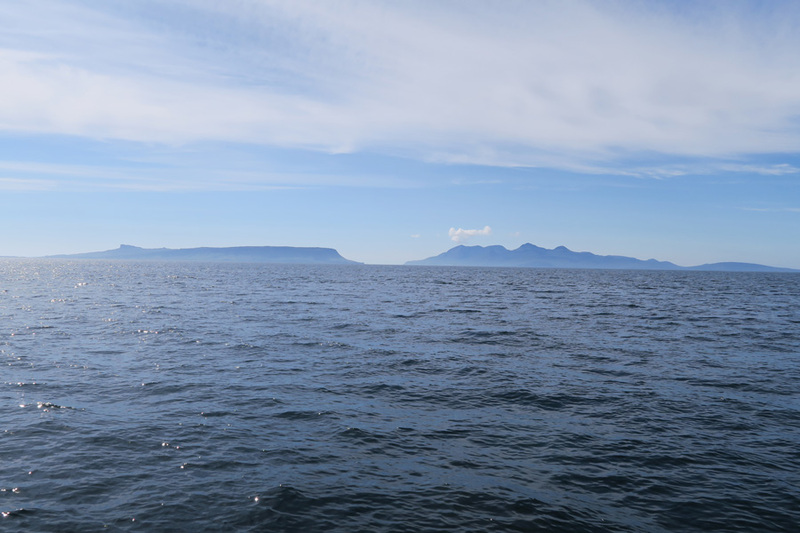 The boat headed off towards the Small Isles and soon the Skipper reported dolphin activity in the distance. 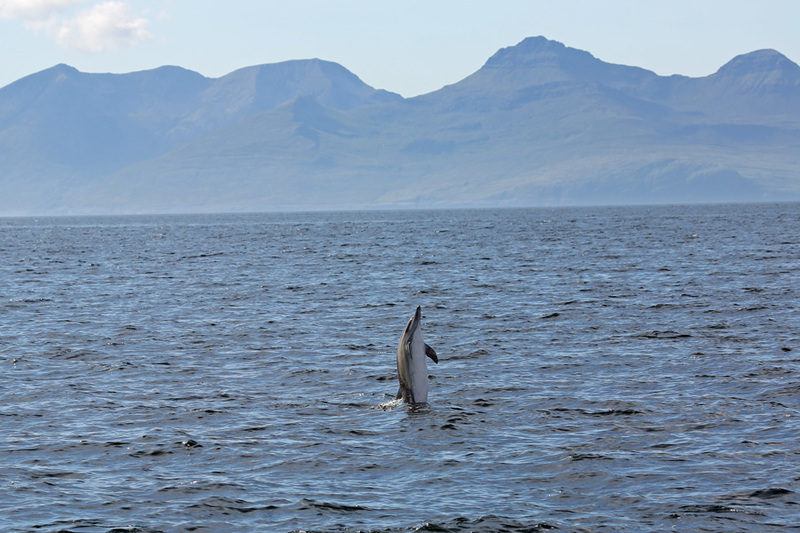 We headed off towards the distant splashing and we were soon rewarded by a pod of forty or more short beaked common dolphins engaged in active surfacing, sharking, porpoising and vertical jumping, to the delight of all on board. 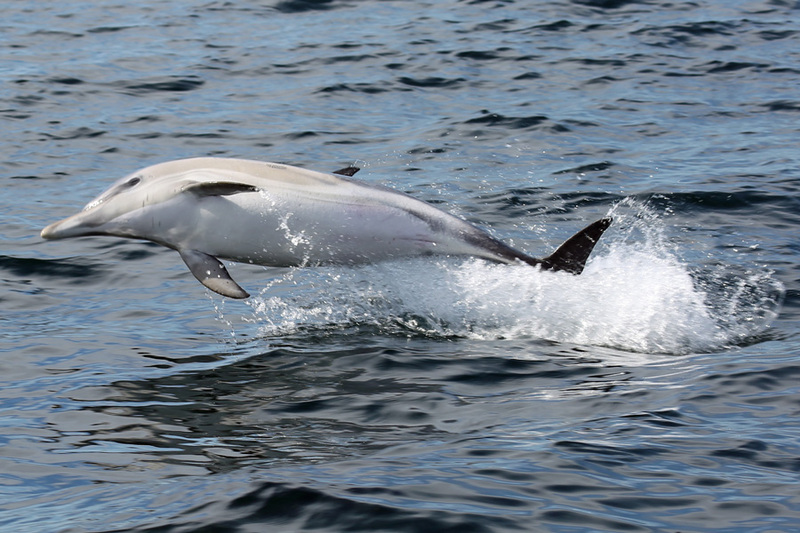 Common dolphins are distinguished by a creamy white hourglass pattern on their sides, contrasting with the dark grey flippers, tail and back. 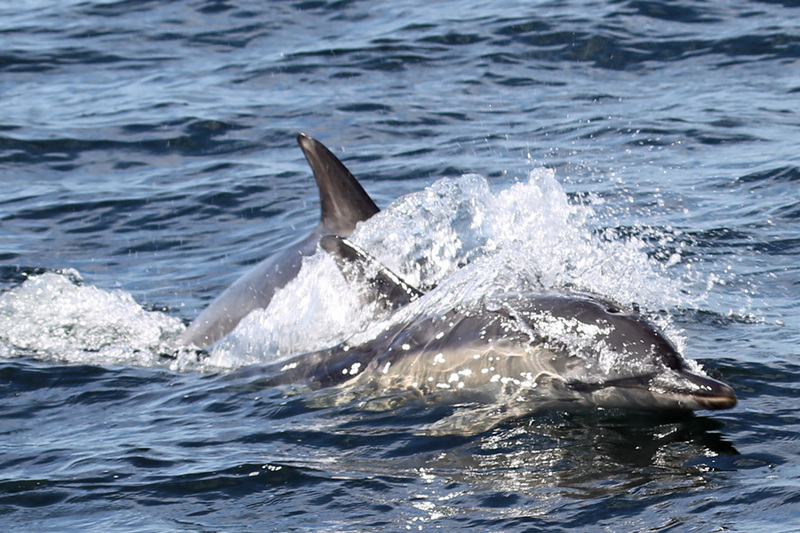 Some of the dolphins were accompanied by a young calf which stayed close by and mirrored the activities of their mother. 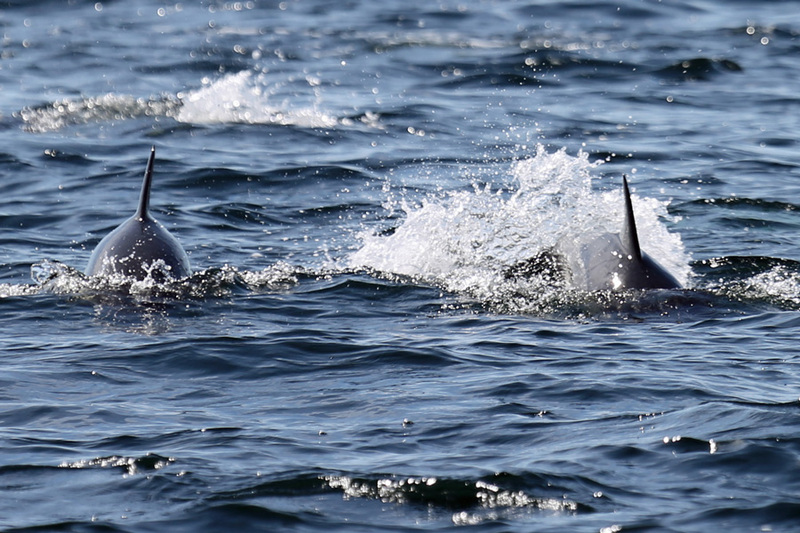 We were treated to some really amazing close encounters as these charismatic cetaceans swam alongside and under the boat, providing a great opportunity for photography and nature watching up close. 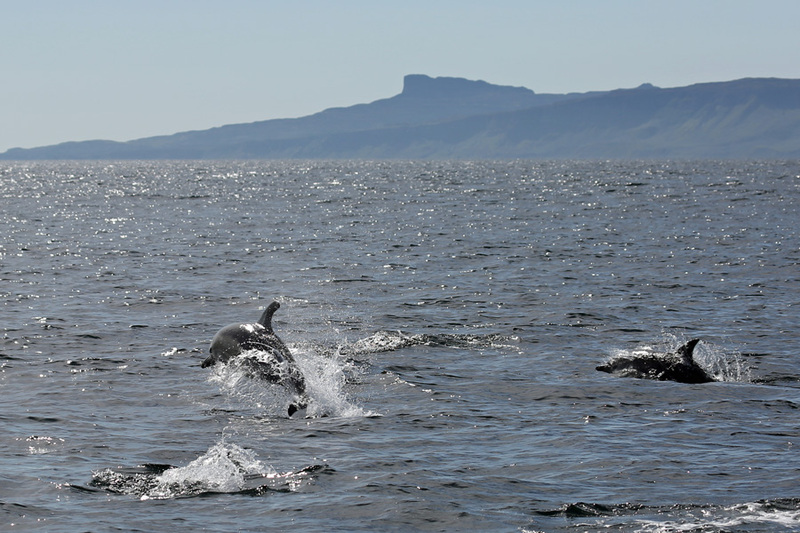 It was a truly an unforgettable experience as the waters around the boat thronged with dolphins. 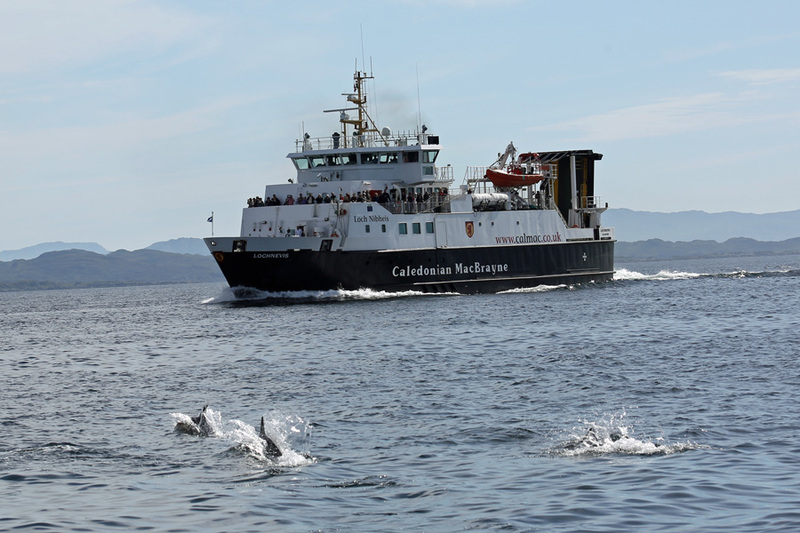 As we headed out further towards the Small Isles, we were escorted by the pod, until we met the Calmac ferry, where the dolphins switched boats to 'frollic' elsewhere affording good views of bow riding as the rode the low pressure waves at the front of the ferry. 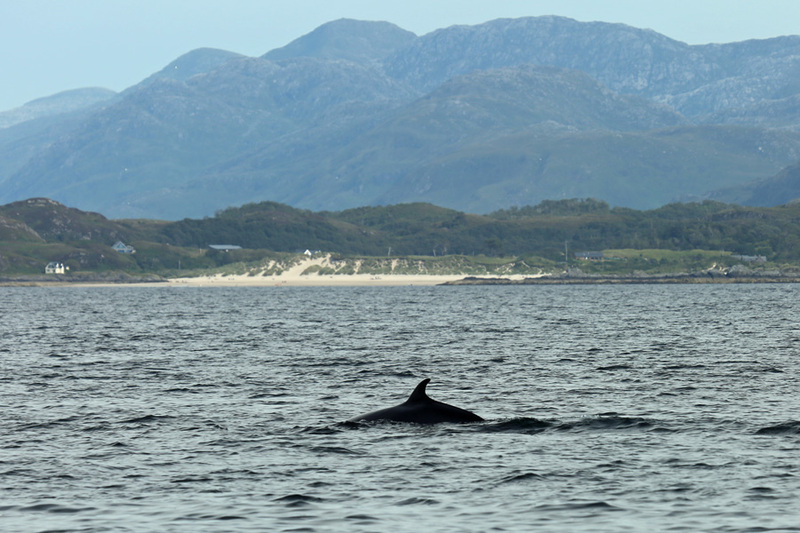 Once the dolphins had departed to resume their feeding activities, we headed back to the waters where the skipper had earlier spotted a Minke whale. 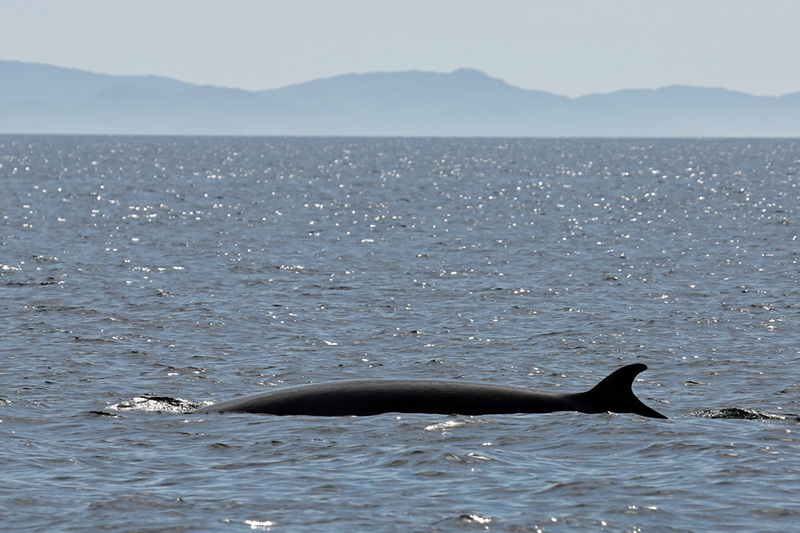 Minke whales are a small baleen whale which belong to a distinct group/clade within the baleen whales. 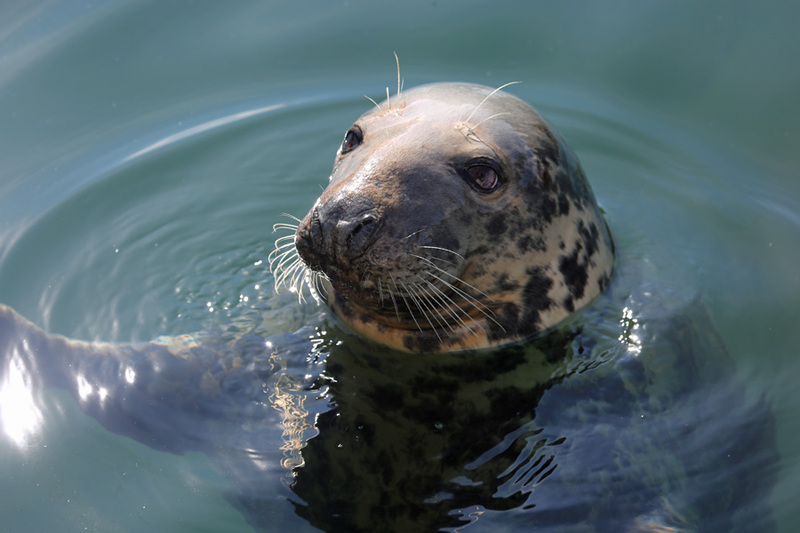 Females can be up to 10.7 metres in length and males just under 10 metres. 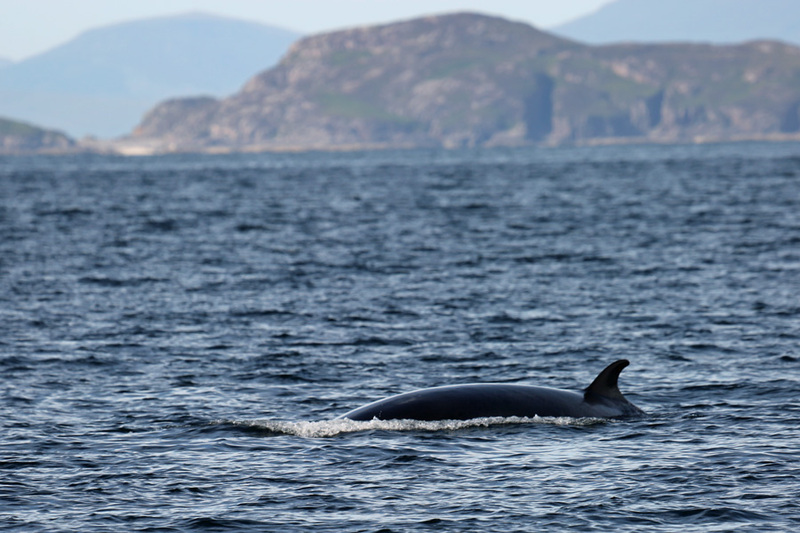 It was not long before a couple of Minke whales were spotted as they breached the surface in a slow majestic manner, providing a stark contrast to the earlier vivacious antics of the dolphins (toothed whales). The whales breached a few times, before undergoing their periodic deep- dive. 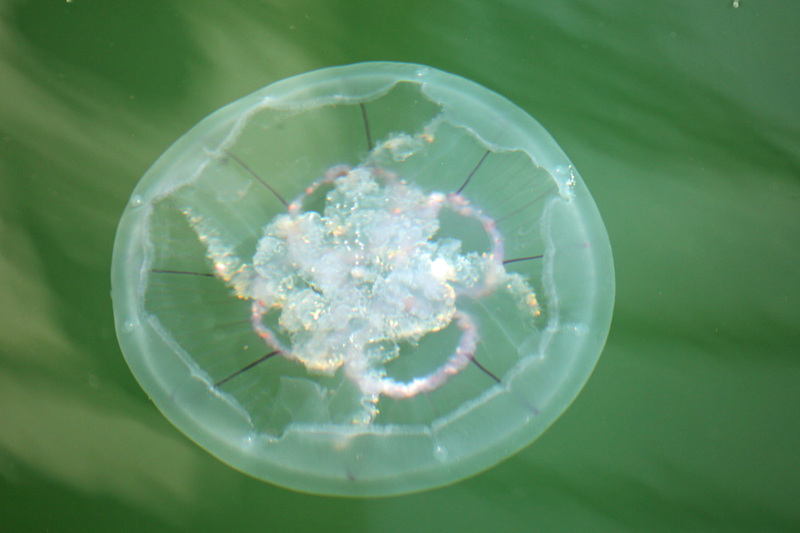 During each breach, the appearance of the narrow head was quickly followed by rising and descending of the back, with the distinctive falcate (curved) small dorsal fin. The deep dive was preceded by a pronounced arching of the back as the whale descended to deeper waters. 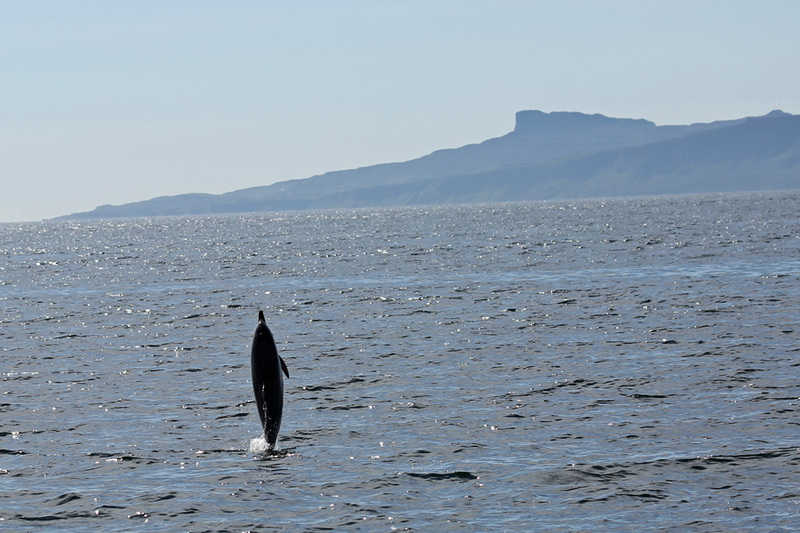 A total of three Minke whales were seen on the trip. 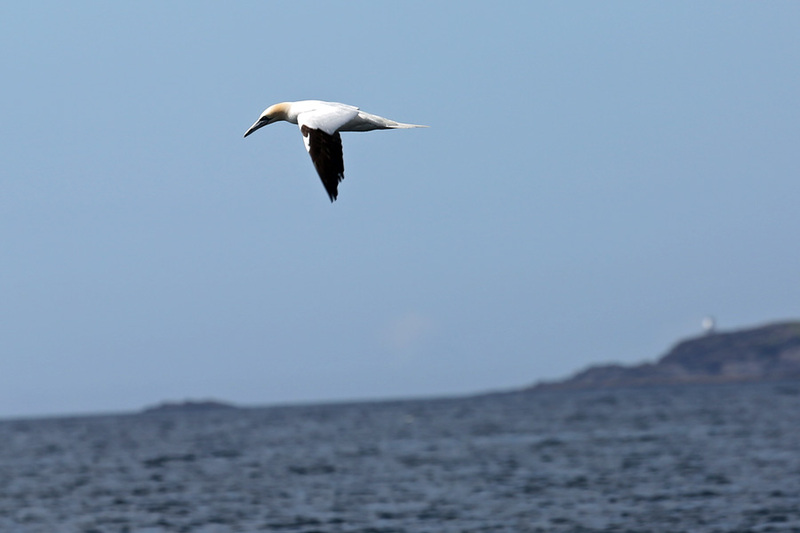 We were also treated to some stunning aerobatics as northern gannets selected their prey by circling above before plunging at high speeds (up to 100km per hour) into the sea with their wings retracted to catch and pursue fish underwater before emerging with its capture. 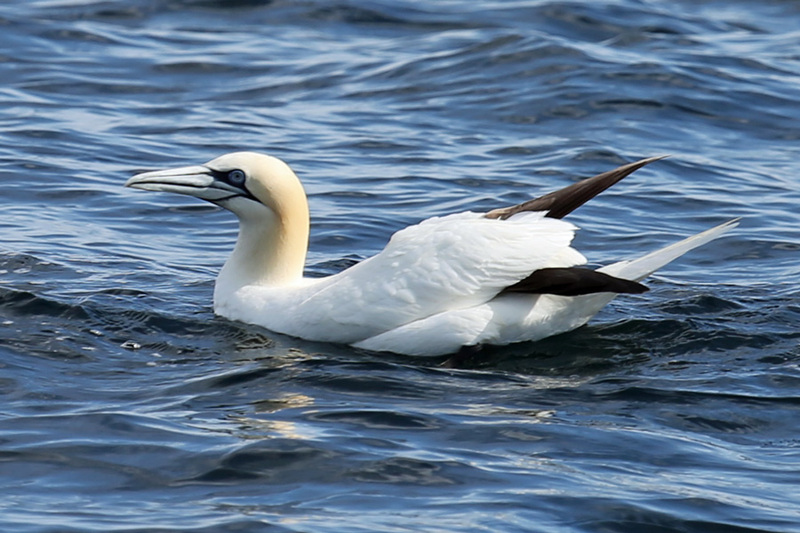 These 'dapper' birds are pure white with black wing tips and a yellowish orange head and blue grey beak. 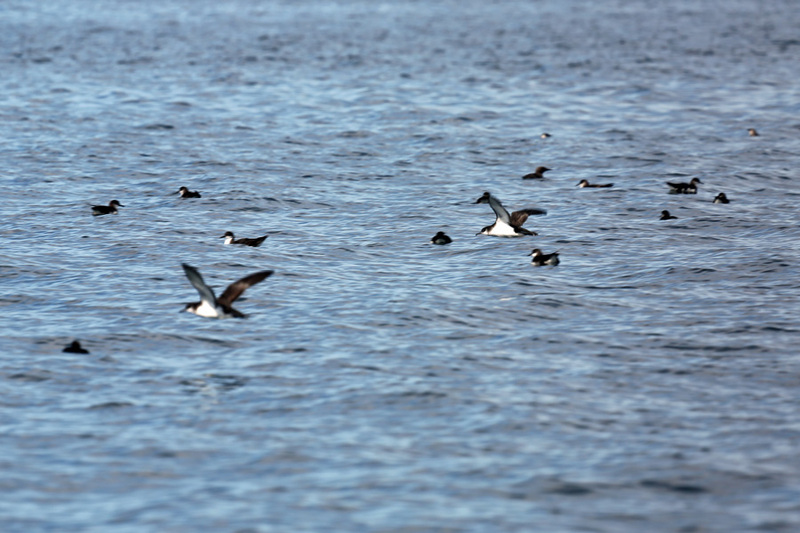 We also cruised by rafts of Manx shearwater, a marine wanderer, that only returns to land to breed. We were told that forty percent of the world population breed in burrows and under boulders on the Isle of Rum, which they return to under the cover of darkness to avoid the risk of predation by skuas and gulls. 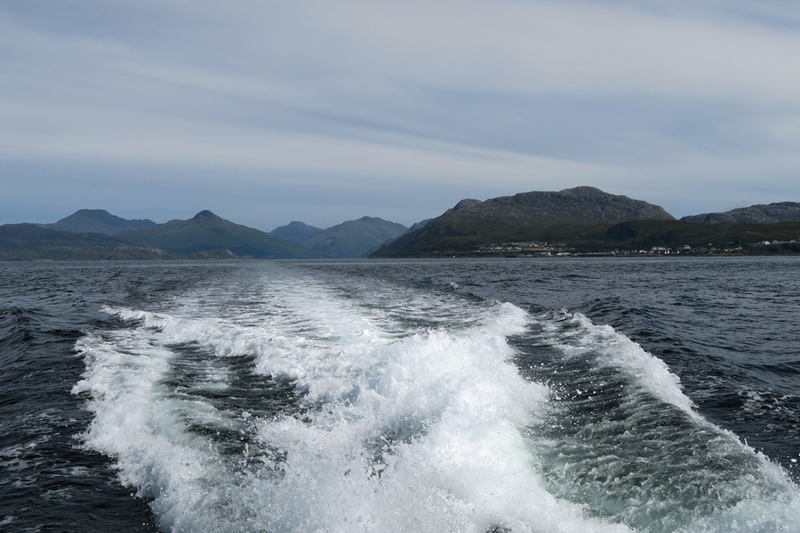 The two man crew pointed out various features and landmarks as we cruised the waters in search of marine life. The crew were knowledgeable and friendly. The skipper also launched his small drone to provide aerial photos of the pod of common dolphins which he offered to send on to us by email. A really good trip and highly recommended. 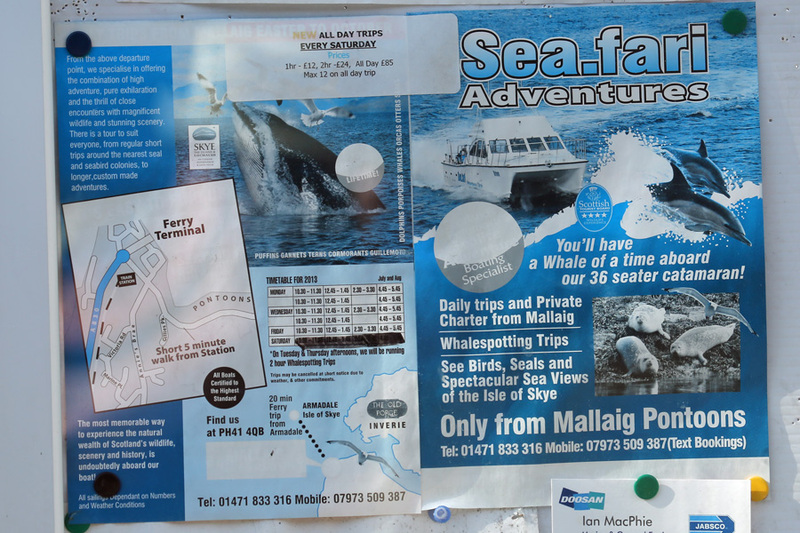 However, you should be aware that cetacean and shark sightings are not guaranteed and some trips may result in no-shows. 2018 update - MV Orion is not currently providing regular scheduled public whale watching cruises. 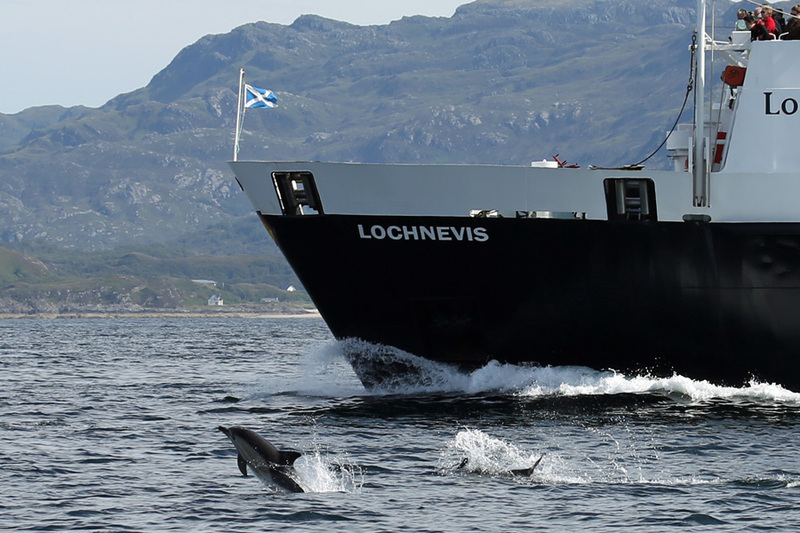 Similar trips are available from other providers in Mallaig such as Wester Isles Cruises and Minch Adventures.